HAVE you ever wondered if a retreat away from urban living and into Mother Nature’s arms can be a stylish affair? It is now. 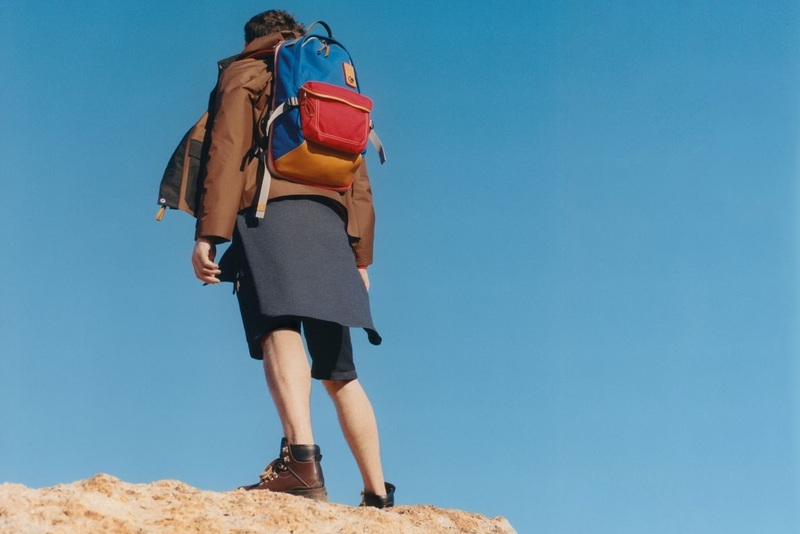 The new line of functional essentials for the adventurous by Madrid-based luxury fashion house Loewe is ready to bring us on that journey with the new Eye/Loewe/Nature line. Loewe has been consistent with bringing in pieces with different flavours to the table; an eclectic mix, in fact. Patchwork, prints, and stripes; from fancy jackets perfect for clubbing to comfy cardigans that suit the aesthetic #mood – you name it, they’ve got it. But this time, Jonathan Anderson has a unique focus on utility, and you’re going to be impressed. In an interview with The Guardian, Loewe’s creative director Jonathan Anderson noted: “ The minute you can be predicted, as a brand, you’ve got a problem”. True to his word, Anderson’s design ethos isn’t clear-cut. We need only recall how he reconfigured the gendered codes that defined fashion back in his Fall 2013 collection under his own label, JW Anderson. One thing is for sure: unconventionality is his convention. Nevertheless, style and substance are two cornerstones of the Eye/Loewe/Nature collection, suited for both trekking and busy commutes. Its parkas are made of nylon, with adjustable drawstring hoods and generous pockets. Whether it is to stand out in the urban metropolis or to harmonise with the majestic wilderness, shoppers have the pick of either red/blue or black/brown combinations. Other staples in the repertoire include cargo jeans (see below), trousers and sweatshirts, tastefully accompanied with the ‘Eye’ insignia layered over a solarised image of the coast by M/M Paris that Loewe followers will love. Definitely eye-conic. Long Sleeve T-Shirt Loewe Eye Yellow, with Cargo Jeans Indigo. Of course, the accessories, manufactured in Japan, are also key to this collection. Anderson moves away from the usual leather on its backpacks, and opts for high-grade canvas to help users carry their essentials. Added cushions and support ensure they can weather harsh terrain while making commutes a breeze. Flight bags and the omnipresent, streetwear-inspired cross-body bags are also available. Few would have expected Anderson to gift us an understated yet functional take on menswear. Regardless, the launch is a refreshing take on Loewe’s design signature so far, once again thanks to Anderson’s idiosyncratic approach. You don’t have to be a seasoned hiker or nature lover to pull off this collection. As long as you’re up for adequate protection from the elements while looking like you’re fresh off a breathtaking Nat-Geo spread, the Eye/Loewe/Nature line is worth a double take. The Eye/Loewe/Nature collection is now available in Loewe boutiques at Paragon, Marina Bay Sands, Ngee Ann City and DFS Galleria.